PurarganPlus is specially developed for effortless, quick cleaning and taking care of stainless steel pans. PurarganPlus removes limescale, grease and dirt both effortlessly and automatically. Cleans, cares for, protects and gives a brilliant shine. Cutlery care products: Take good care of your cutlery! To be able to enjoy your WMF cutlery for as long as possible, you should take good care of it. Use the right cutlery care product to take proper care of Cromargan® and silver. The high-quality WMF cutlery is made for years of reliable use. Over time though, the various materials may lose some of their aesthetic appeal. So silver cutlery may show signs of ageing by becoming tarnished. Limescale spots or extraneous rust may well become an issue, depending on the material, making the cutlery look unattractive. Cleaning the individual items on a regular basis prevents this ageing process, and ensures that you can continue to welcome your guests with beautiful, gleaming cutlery for years to come. It is important that you look after your cutlery properly. You should always rinse knives, forks and spoons soon after use, as the acids in the food may damage the surface. You should also avoid leaving cutlery to soak for too long or leaving it in a damp atmosphere. Do not allow it to stand in damp air when washing it in the dishwasher, but instead remove it immediately and dry it, or open the dishwasher drawer to release the steam. Avoid scratching your cutlery by arranging your knives, forks and spoons by type in the drawer or in the cutlery organiser. Using a suitable care product for Cromargan® and silver makes all the difference to your cutlery.  WMF offers cutlery care products for different materials, which you can use to clean knife blades and forks just as easily as cookware. Whether you want to clean extraneous rust, tarnishing or limescale spots – with our products you can remove unsightly marks effortlessly. You can use the WMF cutlery care products not just for cleaning stainless steel and silver, but also for polishing cutlery made of other materials to a high gloss, such as copper, brass or tin. Treating silver cutlery gives it a thin, anti-tarnish film, which protects it against future tarnishing. For quick care between uses, use the WMF silver care cloths to polish your cutlery and give it the same anti-tarnish protection. Discover the WMF cutlery care products now! Take good care of your cutlery and look forward to many more years of use.